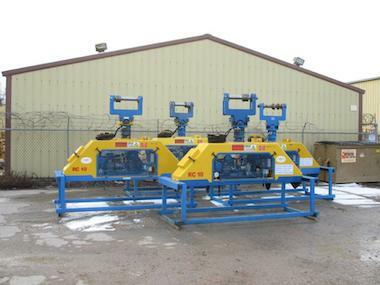 We rent vacuumlift pipe lifters for your project. RC10D Vacuumlift with diesel engine, rotator and remote control. We offer pneumatic tire cradles and Roli Cradles for monthly rent. 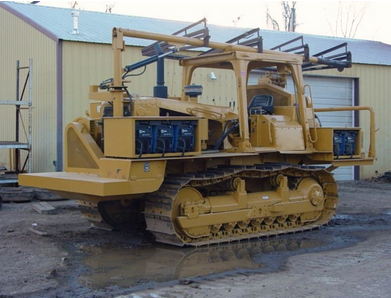 We offer a few different Caterpillar welder tractors for your project. 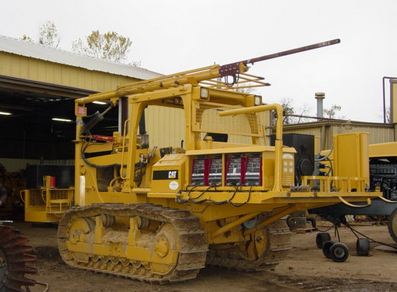 Caterpillar D6E Welder Tractor equipped with (5) Miller XMT-350 welders, Quincy 390 compressor, lead boom and outlets. Caterpillar D6D Welder Tractor equipped with (4) Lincoln V-300 Welders, Quincy 350 compressor, lead boom and outlets.